These are the newest and best reproductions liner pins available. Marked D&C 1941. Thier appearance is the closest to that of the original than any others available. 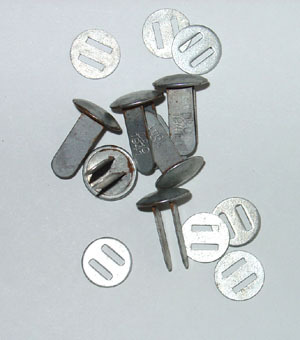 per set of three pins with washers. Enough for a German combat helmet.